Over the Christmas holidays of 2016, Typhoon Nina (international name Nock-Ten) hit the provinces of Camarines Sur and Quezon leaving them under the state of calamity. Nina was described as the strongest typhoon that hit Bicol in 10 years after Typhoon Reming in 2006. In Minalabac District, more than 20 classrooms in Hobo Elementary School were left without roofs and with walls dilapidated. The classrooms still look the same after two years. with walls dilapidated. The classrooms still look the same after two years. Students of Hobo Elementary School taking their breaks near the classrooms destructed by Typhoon Nina. 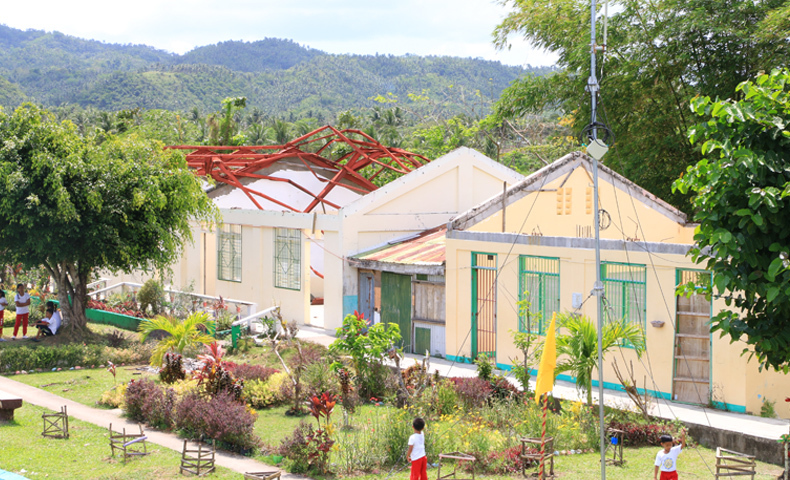 Aside from the devastation brought by typhoon Nina, Itangon Elementary School, a far-flung school in Bula, Camarines Sur, was also affected by typhoon Glenda (international name Rammasun) back in 2013. Their wrecked classrooms during Glenda were not yet repaired when Nina hit Bicol. 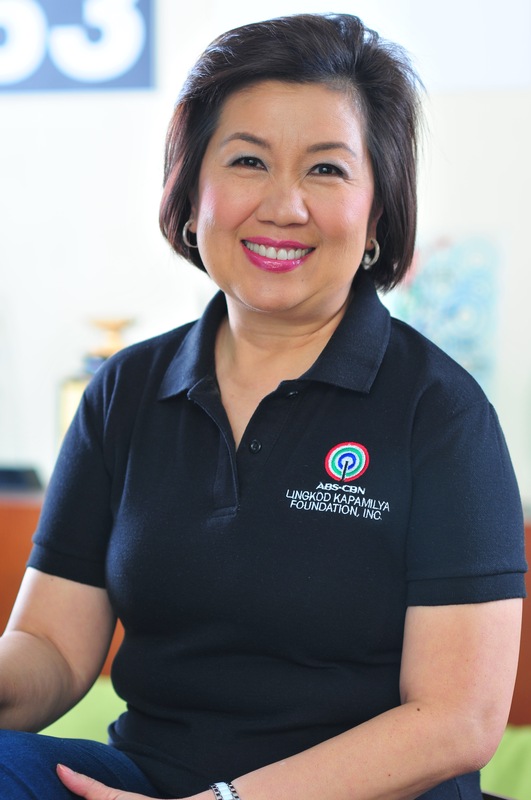 “Dahil maayos na ‘yung classrooms namin, ma e-encourage ‘yung mga bata na pumasok sa eskwelahan, baka dumami ‘yung enrollees namin,” she added. Inside the temporary learning spaces of Itangon ES (left) and Hobo ES (right). Both schools used make-shift classrooms which are made out of plywood in the middle of their school grounds instead. Each temporary learning space houses 40-50 students. Recently, Operation Sagip of Lingkod Kapamilya turned-over three classrooms each in Hobo ES and Itangon ES. The students were also beneficiaries of back packs with school supplies under the Gusto Kong Mag-aral project last year. On the other hand, Huyon-uyon ES and Butangiad ES in the mountainous municipality of San Francisco in Quezon province also received three classrooms each. One shall take a 30-minute habal-habal ride in order to reach Butangiad ES which is situated on top of a mountain. The classrooms have the Department of Education’s typhoon-resilient design that can withstand 270kph intensity of wind. Each also has its own restrooms and the arm chairs and chalk boards were also provided. Operation Sagip also served more than 61,000 individuals or more than 12,000 families affected by Nina with their relief operations. To know more about its projects, visit www.abs-cbnfoundation.com.